People have been very patient. 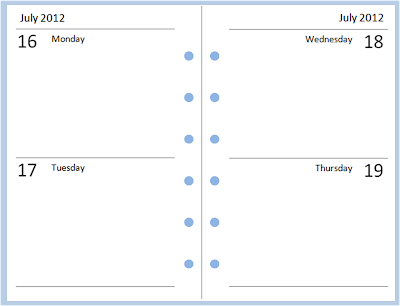 Steve and I are now ready to release Pocket-sized versions of some of our diary layouts. 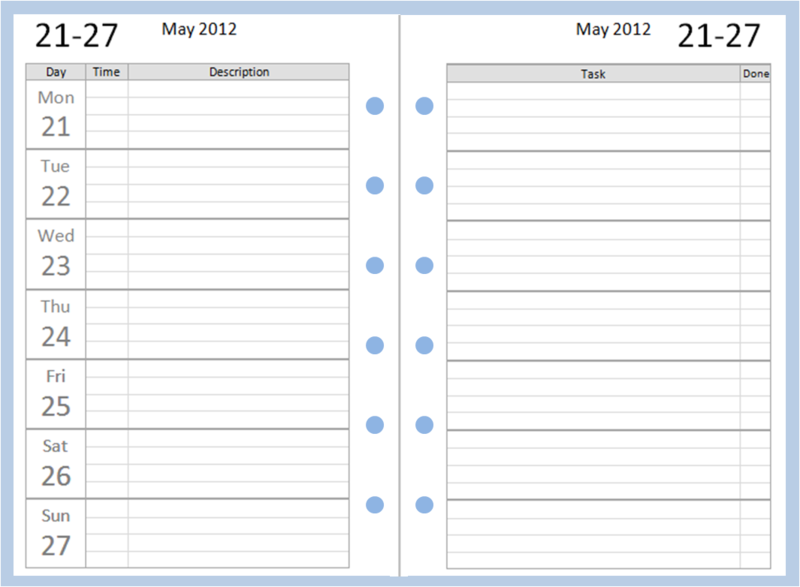 You can download a prepared 2012 set in this layout as either a Word file or a PDF file. 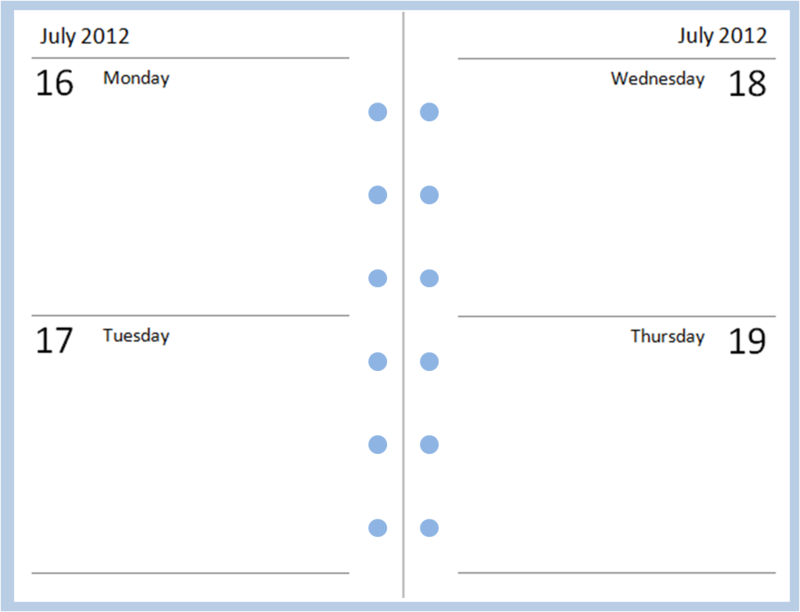 Click to enlarge - and to see the lines! 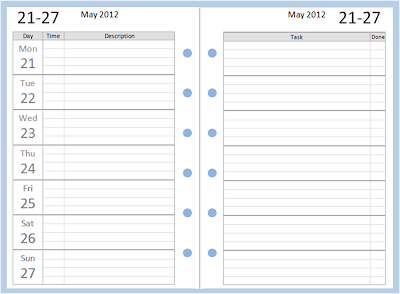 You can download a prepared 2012 set in the unlined layout as either a Word file or a PDF file. If you want lines, then use this Word file or this PDF file. Use the instructions above to print and finish your pages. YES! Thanks a lot guys! 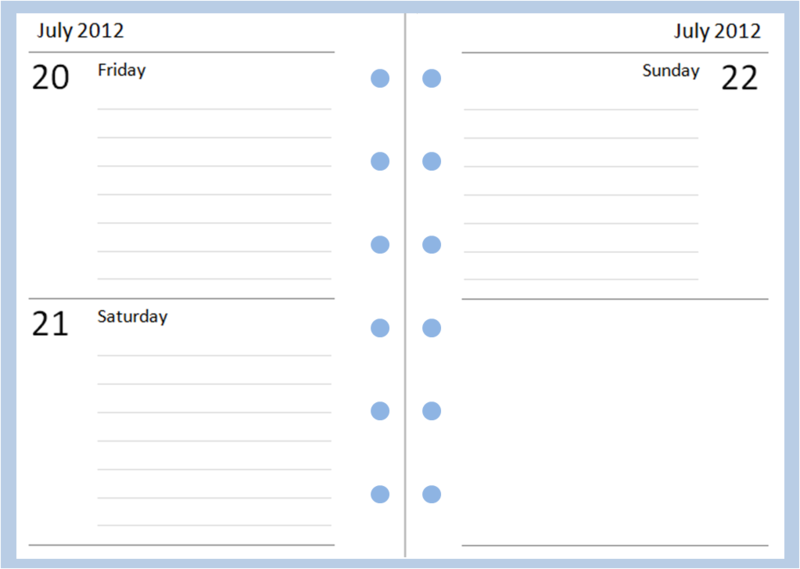 I'll be using the TM Week on Two Pages as soon as my A5 will be set up as my main Filo and my Pocket will become only the "purse" one. 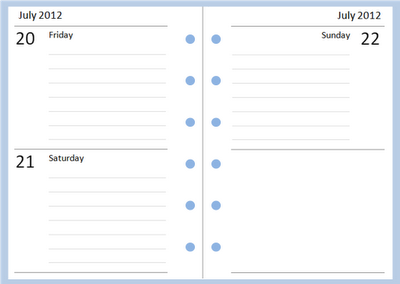 I'll try to modify it a bit and reduce the top portion (date and month) to allow more space for the days. Thanks again so much for creating these awesome layouts and making them available to us for free! !